Never seen one of these before. Tucked inside the box was a very long aerial wire and another for interior use. 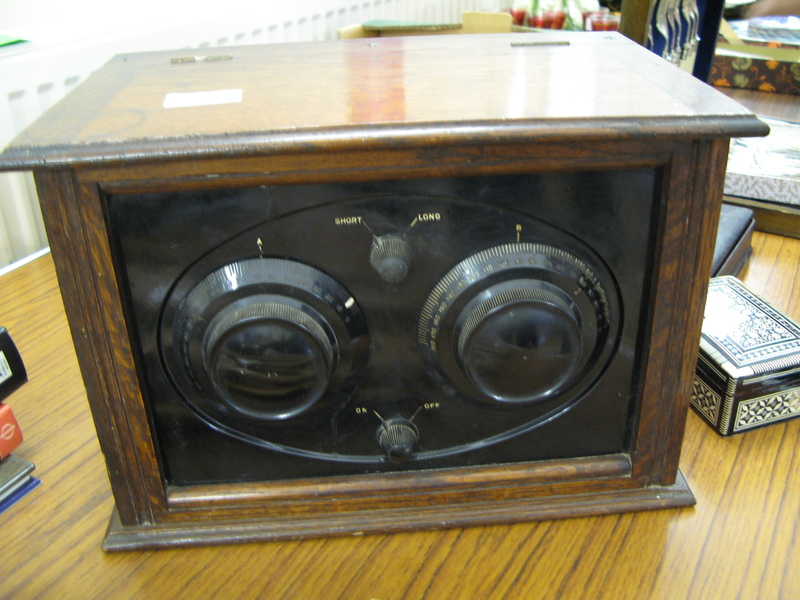 Very few components inside: valves, resistors and capacitor. Looked great from the outside. Did not make a reasonable reserve. It was hung up in full view of the viewers. A lovely little black number which did not make a reasonable reserve. Did not make an appropriate reserve. High expectations for these characters which did sell but I thought they would go for more. These did generate a lot of bids. Some very good condition cars and freight vehicles not in their boxes. This was the smelliest item on sale. No smell of horse just moth balls. 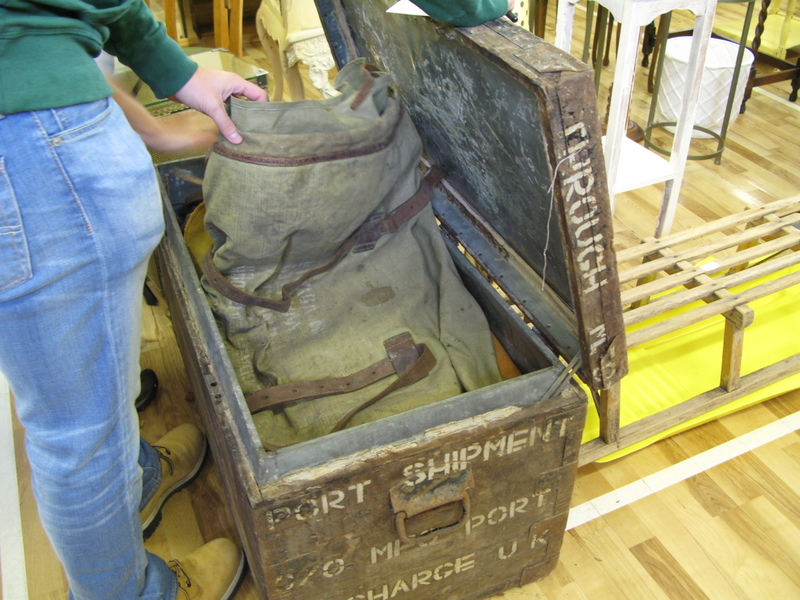 It looked a bit like the costume box for War Horse. Indeed some items were from World War 1. The buyer was very pleased with his acquisition. 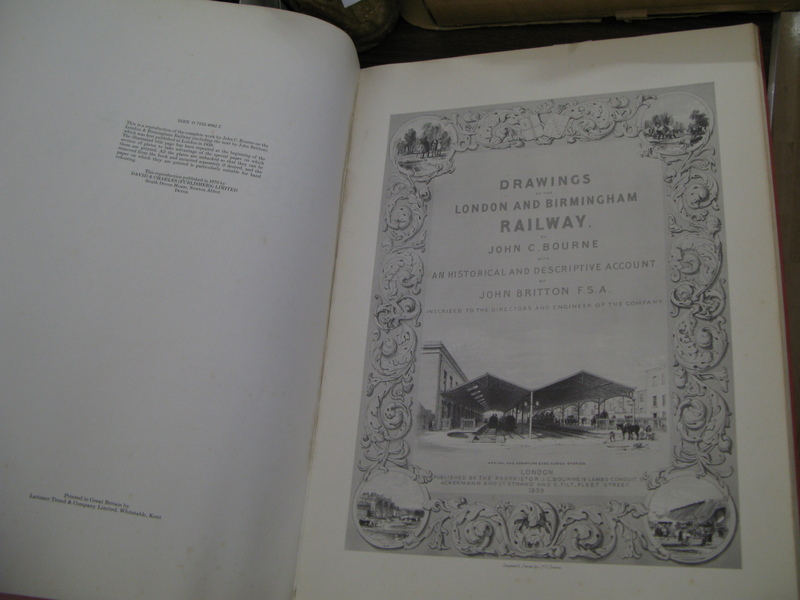 A lovely book full of plates of the railway being constructed and when finished which sold for less than a tenner. Another very pleased buyer. 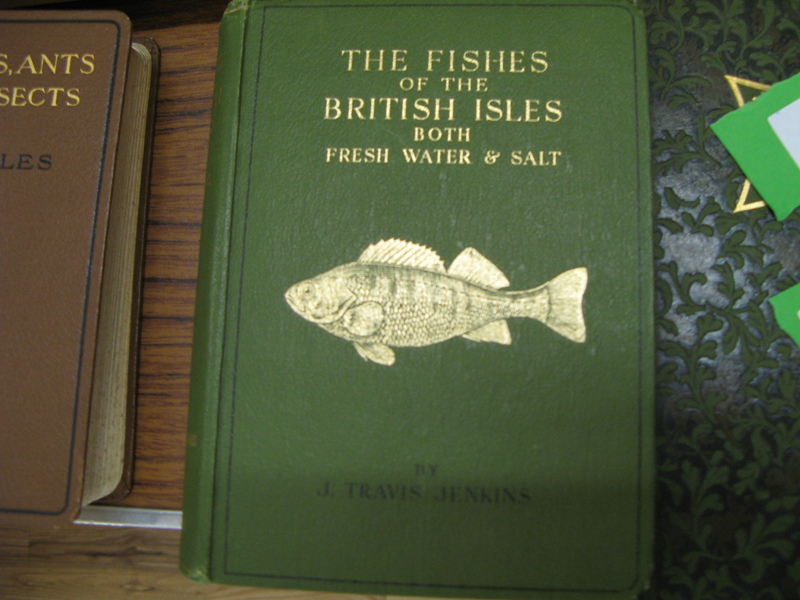 There were three books similar to this. 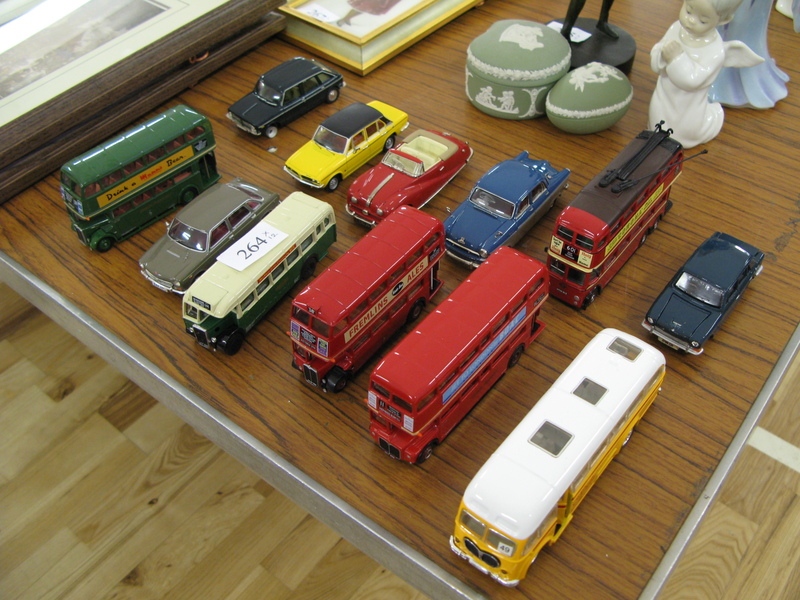 There was good interest and this lot sold for the highest amount. 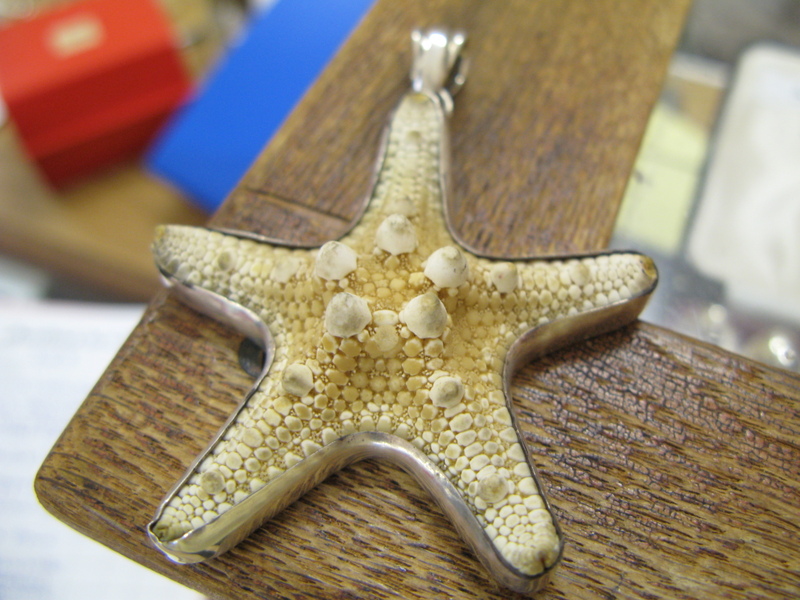 The starfish was very well mounted in the silver pendant. 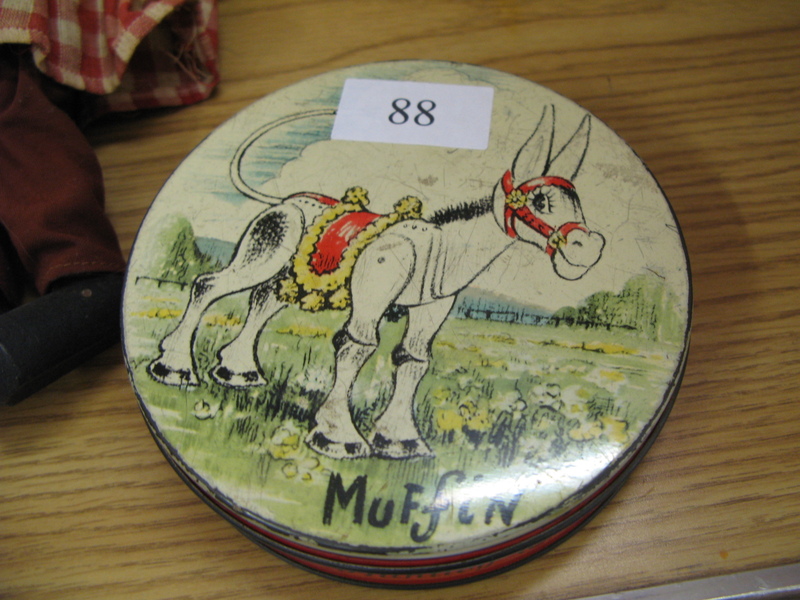 A classy object in its time but probably not in line with today’s views about the use of animals in jewellery. 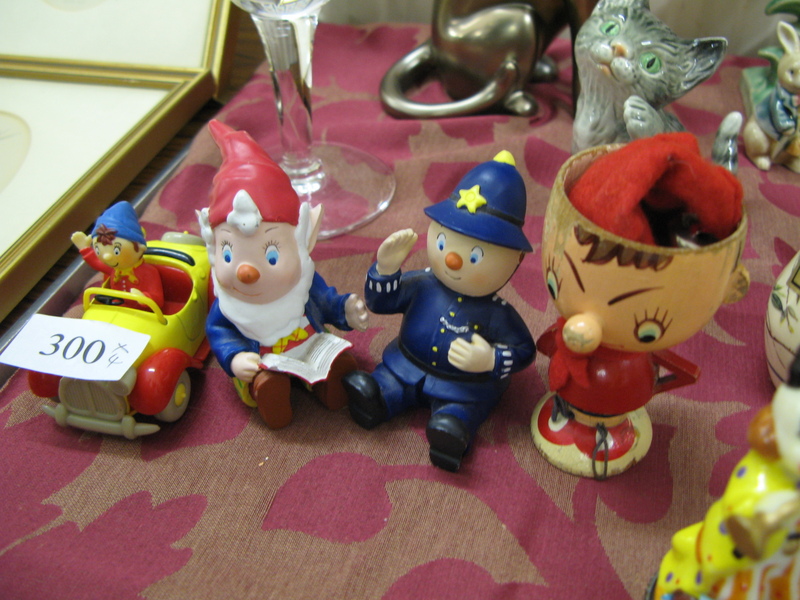 Another character from the childhood of several of those present at the auction. 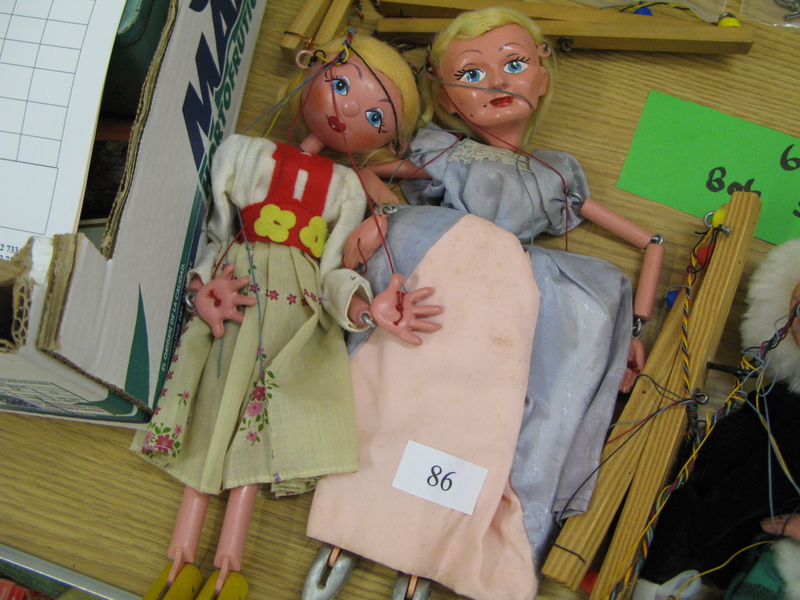 Like so many markets that were a profitable niche for sellers a few years ago, Pelham Puppets are not commanding great prices. But if you do have one in mint condition, in its box, please bring it along. 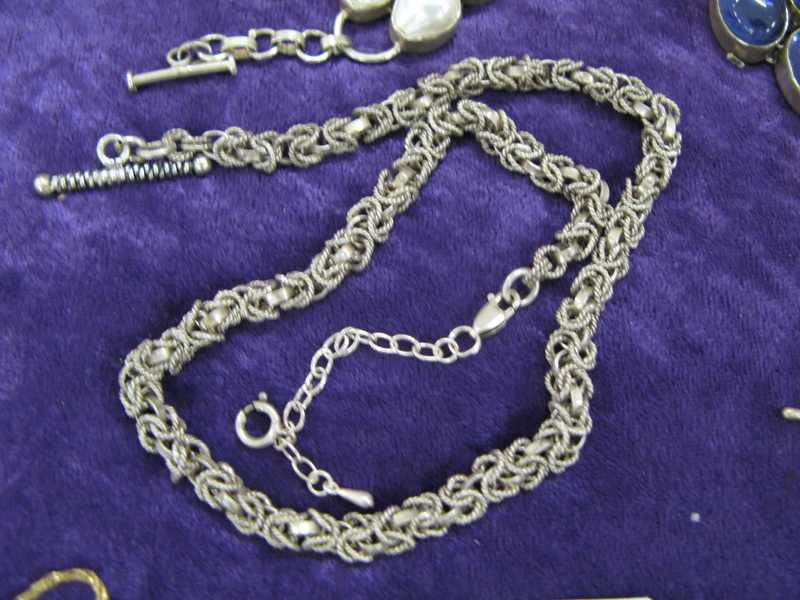 A good looking and heavy silver chain. 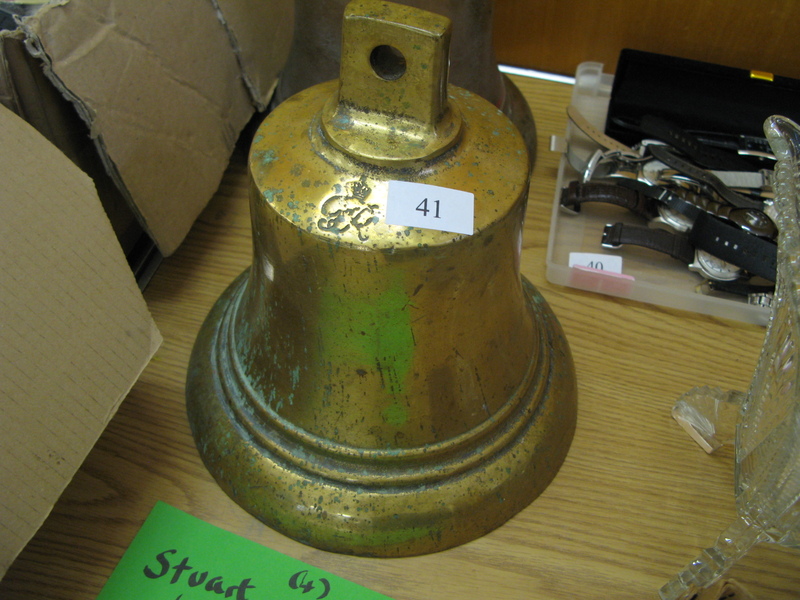 We had two similar bells this one with GR and another with ER. There were in the top ten of sales at this auction. 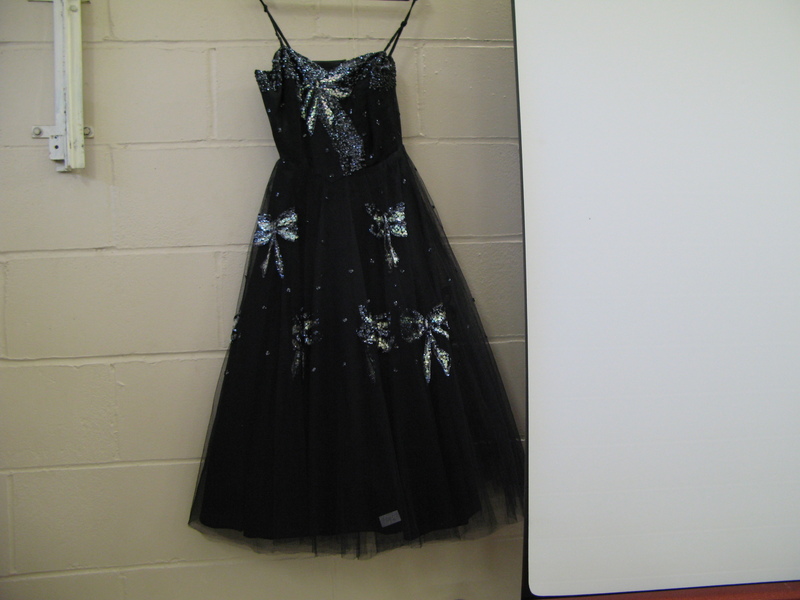 This one caught the bidder’s eyes. 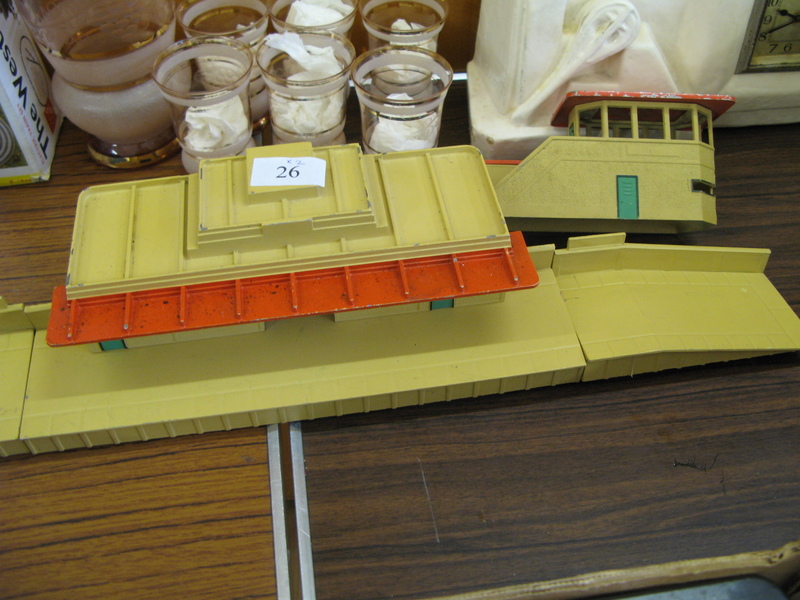 In good condition, lovely art deco colours, a winner. But they did not manage to make the reserve.